Sealed batteries require little maintenance. Many clients consider that, as they are sealed, AGM or OPzV lead acid batteries require no maintenance or have no emission of gases. This is not true, and under certain conditions, H2 emissions might happen. If hydrogen concentration reaches 4%, an explosive mixture can appear. So it is important to maintain the battery correctly to optimize their conditions & design life. 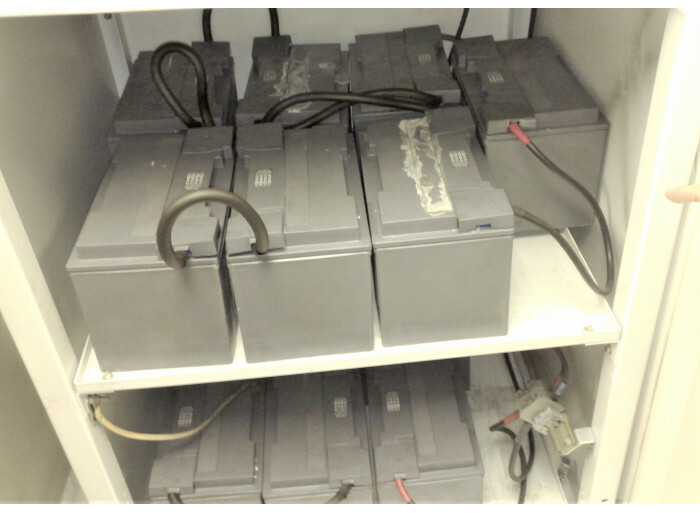 All lead acid batteries are based on the same discharge reaction. Lead oxide and lead react with sulphuric acid to create lead sulphate, water and energy. Therefore, they all have same voltage values ​​and same constraints. Then, depending on the application (peak currents or long discharges), the mechanical construction of the cells, plates and separators may vary. The AGM and gelled electrolyte battery designs have common components such as containers, plates and pressure relief valves, but they have different separator and electrolyte immobilization systems (liquid, absorbent, gelled). In order to avoid accidents or deformations in the container, the valve opens when pressure inside the battery exceeds a specific limit and releases excess gasses that may abnormally build up over the time. A higher working temperature than the design temperature, which would cause a dilation of the internal gas and therefore an overpressure. A higher voltage than the design voltage, which causes an overload. When the battery can no longer accumulate energy in chemical form, it decomposes the water of the electrolyte, which releases oxygen and hydrogen to the air, increasing the internal pressure. Temperature of the room, fans operation and their thermostats (if any), and airflow through grids, ducts, etc. Float voltage, boost voltage and voltage stability provided by the equipment in case of AC input voltage variations (in the industry it may happen that the battery voltage is correct during plant functioning, and too high during plant stoppages) Moreover, overvoltage usually cause problems of over-temperature, which can further complicate the previous point. An atypical problem we have found in some installations in Bolivia: if the battery is installed high-altitude, the external pressure is lower than in sea level, so there is less resistance and the relief valve opens before. To avoid this, you have to consider the coefficient indicated by manufacturer when designing the battery. A Battery is a collection of two or more cells connected in series. Cells can be connected in parallel too, but we do not recommend it. During battery life and due to manufacturing process dispersion, poorly installed connections and several factors, these batteries can decompensate their voltage, being at higher or lower voltage than the others. 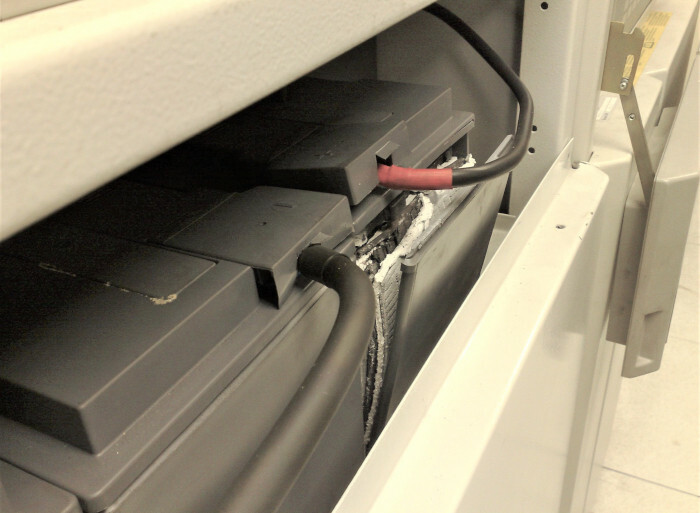 To prevent this, we recommend performing controlled discharges measuring the voltages of the cells (or mononbloks if they are not accessible) in order to detect possible deviations and broken or inverted cells. Same maintenance is recommended for open batteries, with the disadvantage that we cannot measure electrolyte density or correct any problem on the sealed battery. To sum up, all lead-acid batteries require periodic maintenance to optimize their design life, and when installing them, ventilation and cooling needs must be designed accordingly to their manufacturing characteristics.